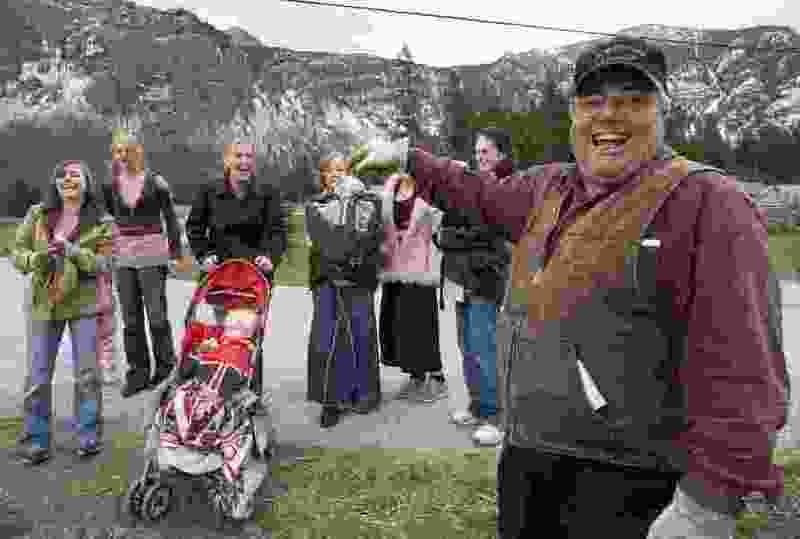 (Jonathan Hayward | The Canadian Press | The Associated Press) In this April 21, 2008, file photo, Winston Blackmore, the religious leader of the controversial polygamous community of Bountiful located near Creston, British Columbia, Canada, shares a laugh with six of his daughters and some of his grandchildren. Blackmore has been convicted of practicing polygamy after a decades-long legal fight. Blackmore was found guilty Monday, July 24, 2017, by British Columbia Supreme Court Justice Sheri Ann Donegan. Cranbook, British Columbia • A special prosecutor is recommending jail time for two leaders of a religious sect in British Columbia who were found guilty of polygamy. Peter Wilson asked a British Columbia Supreme Court judge Tuesday for a sentence of between 90 days and six months in jail for Winston Blackmore and a term of one month to 90 days for James Oler. Wilson says they were motivated by “sincerely held religious beliefs” but he says they must denounce their crimes and deter others. Both men have been leaders of the Fundamentalist Church of Jesus Christ of Latter-day Saints, which condones plural marriage. They live in the small community of Bountiful in southeastern British Columbia. The maximum sentence for polygamy is five years in prison.